The Hyunmoo-3 series is a family of short- to medium-range, land-attack cruise missiles. The Hyunmoo-3A, 3B, and 3C are currently in service, with a D variant reportedly in development. The Hyunmoo 3C, with a reach of 1,500 km, is among the longest range missiles that South Korea currently deploys. The Hyunmoo-3 series has become a key element in South Korea’s military posture. Its longer-range strike capabilities, as well as its increased accuracy and improved bunker-busting capabilities, support both South Korea’s ‘Kill Chain’ and its ‘Korea Massive Punishment and Retaliation’ decapitation strategies against North Korean leaders. Several reports note that the Hyunmoo-3 resembles the U.S. Tomahawk and Russian Klub/Kalibr missiles.2 The Hyunmoo-3 series was developed by the state-run Agency for Defense Development and manufactured by LIG Nex1. South Korea deployed the Hyunmoo-3A in 2006. The road-mobile, ground-launched cruise missile has a range of 500 km.3 As Anthony Cordesman notes, while the Hyunmoo-3A is capable of striking Pyongyang, its range is insufficient to reach the DPRK’s long-range missile sites like the Musadan-ri site in North Hamgyeong Province.4 This limitation likely explains why ROK soon began development of the longer-ranged 3B variant. South Korea deployed the Hyunmoo-3B in early 2009.5 With an improved range of 1,000 km, the Hyunmoo-3B was the first ground-launched cruise missile to provide ROK the capability to target all of North Korea from almost any location in South Korea.6 Like the Hyunmoo-3A, the 3B variant is road-mobile. The Hyunmoo-3A was first test fired on October 25, 2006, flying 500 km, and entered service later that year. 17 The Hyunmoo-3B entered service in early 2009.18 As the 3A and 3B variants are road-mobile, it is difficult to track their deployments. Missile Defense Project, "Hyunmoo-3," Missile Threat, Center for Strategic and International Studies, October 10, 2017, last modified June 15, 2018, https://missilethreat.csis.org/missile/hyunmoo-3-abc/. “S.Korea’s Cruise Missile Program Revealed,” Chosunilbo, October 25, 2016, http://english.chosun.com/site/data/html_dir/2006/10/25/2006102561007.html. Kyle Mizokami, “This Is How South Korea Plans to Stop a Nuclear Attack from North Korea,” The National Interest, July 10, 2017, http://nationalinterest.org/blog/the-buzz/how-south-korea-plans-stop-nuclear-attack-north-korea-21472. Song Sang-ho, “Seoul gets long-range cruise missile: sources,” The Korea Herald, July 18, 2010, http://nwww.koreaherald.com/common_prog/newsprint.php?ud=20100718000258&dt=2; Bradley Parrett, “South Korea Works on New Missile Technology,” Aviation Week, June 1, 2012, http://aviationweek.com/awin/south-korea-works-new-missile-technology. “S. 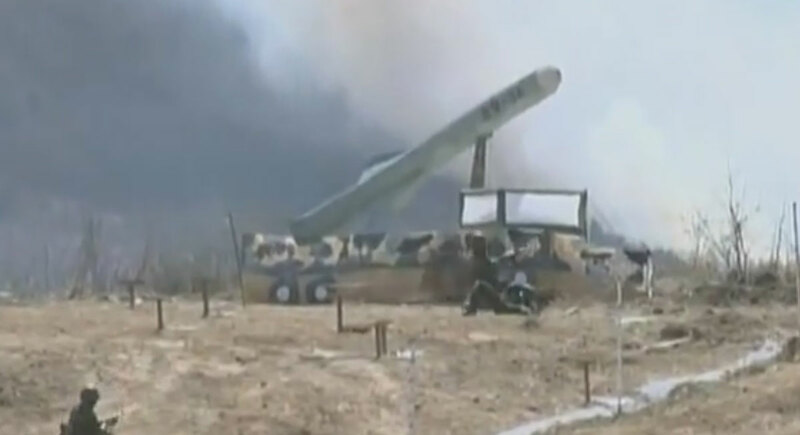 Korea deploys new missile capable of hitting anywhere in N. Korea,” Yonhap News Agency, April 19, 2012, http://english.yonhapnews.co.kr/national/2012/04/19/90/0301000000AEN20120419003000315F.HTML. Lee Tae-hoon, “Secret weapons account for 30% of LIG Nex1 sales,” The Korea Times, February 2, 2012, http://koreatimes.co.kr/www/news/nation/2012/02/113_104024.html. Joseph Trevithick, “South Korea Tests Ballistic Missile That Can Hit Anywhere Inside North Korea,” June 23, 2017, http://www.thedrive.com/the-war-zone/11823/south-korea-tests-ballistic-missile-that-can-hit-anywhere-inside-north-korea. “Design Characteristics of South Korea’s Ballistic and Cruise Missiles,” Nuclear Threat Initiative, November 2014, http://www.nti.org/media/pdfs/design_characteristics_of_south_korea_missiles.pdf?_=1415661529. “Cheon Ryong,” in IHS Jane’s Weapons: Naval 2016-2017, ed. David Ewing & Malcolm Fuller (United Kingdom: IHS, 2016), 17. Song Sang-ho, “Seoul gets long-range cruise missile: sources,” The Korea Herald, July 18, 2010, http://nwww.koreaherald.com/common_prog/newsprint.php?ud=20100718000258&dt=2; Cordesman. Lee Tae-hoon, The Korea Times. Kim Minseok and Bradley Perrett, “South Korea’s LIG Nex1 Land-Attack Missile Cleared For Service,” Aviation Week, May 8, 2017, http://aviationweek.com/defense/south-korea-s-lig-nex1-land-attack-missile-cleared-service?platform=hootsuite.